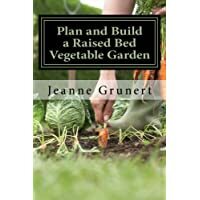 Raised vegetable garden plans help you to get the most from your garden, whether it is true raised beds, or flat beds that can be used in just the same way as raised beds. If you have a garden plan or pictures, why not share them in the comments? There are many ways to create raised beds. We simply cut 5 feet width beds into our garden, and border them with old skirting board. This is what we would call a level bed. It’s the same height as the surrounding the grass, but it has much the same effect. The skirting board border helps to stop couch grass and creeping buttercup from growing into the bed. For your raised vegetable garden plans you could also use logs, old railway sleepers or blocks. 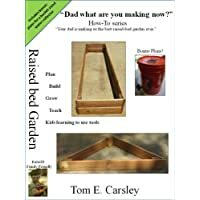 Of course you could also buy ready-made raised bed kits. Leave enough room between beds for access, you will need a wheelbarrow (this one is my favorite! ), possibly a lawn mower and maybe a wheelchair to get through easily. Build them as high as you need them. Be aware of whether you need to reach from a kneeling, sitting or standing position. Make the sides strong enough to hold the weight of soil they will have. Make the bed itself narrow enough to reach the middle without over stretching. Don’t make your raised bed too long either. This way you won’t be tempted to jump over instead of walking around. Consider putting weed control fabric at the bottom of the bed to stop weeds growing into the bed. You could also buy kits to assemble yourself. They are a lot less work, and they are pretty much made to measure. If you need a written plan to follow, there are some really inexpensive ones you can get from Amazon. 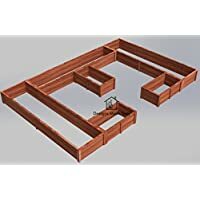 This way you’ll know for sure you’re building the right raised bed for your needs. 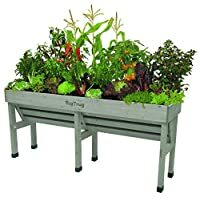 Using a VegTrug is another option, although strictly speaking it is not a traditional raised bed, rather a container bed that has be raised to allow access from either a standing or sitting height. 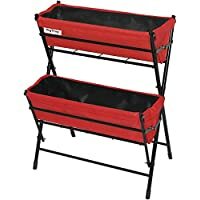 If you are planning a small vegetable garden using containers and raised beds like this can allow you to produce a lot of home grown veggies. 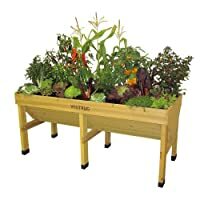 Your raised beds will have to fit into the same principles of growing vegetables as any other type of garden. 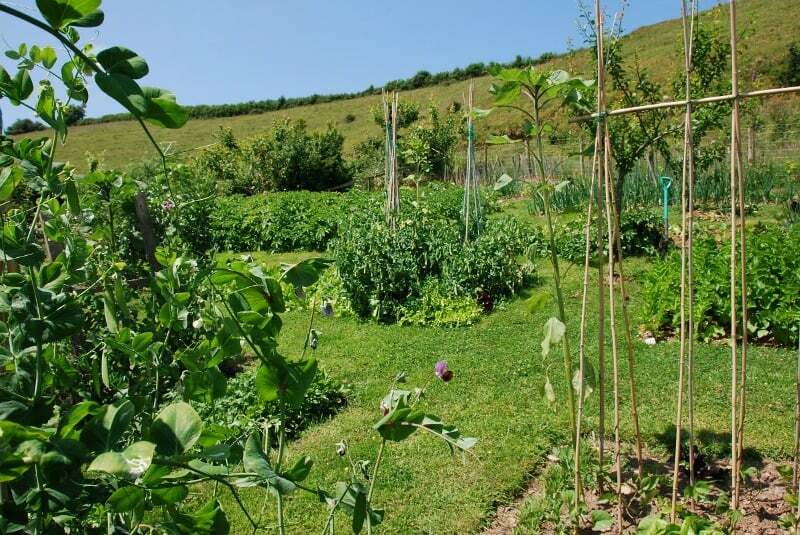 That is, you will need to decide on your crops, split them into crop groups and introduce a rotation system to help with soil preparation, pest control and limiting diseases. 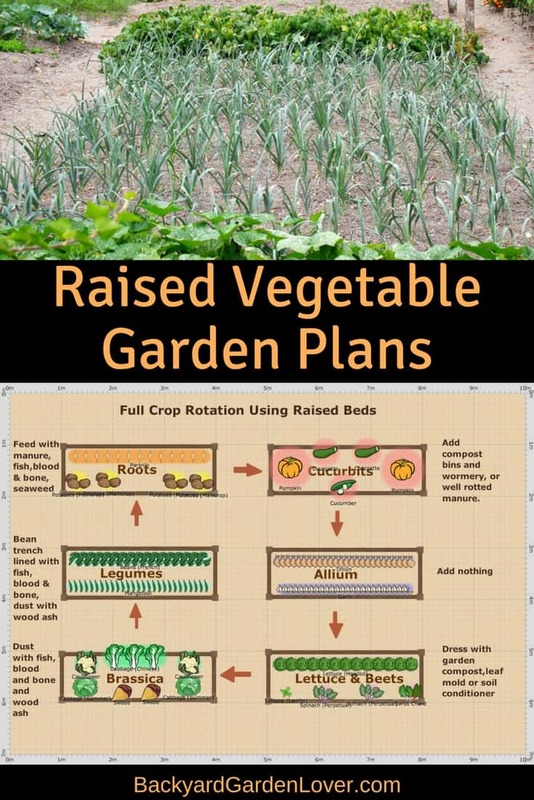 The raised vegetable garden plans above illustrate an ideal raised bed garden with equal groups and the best method of crop rotation. 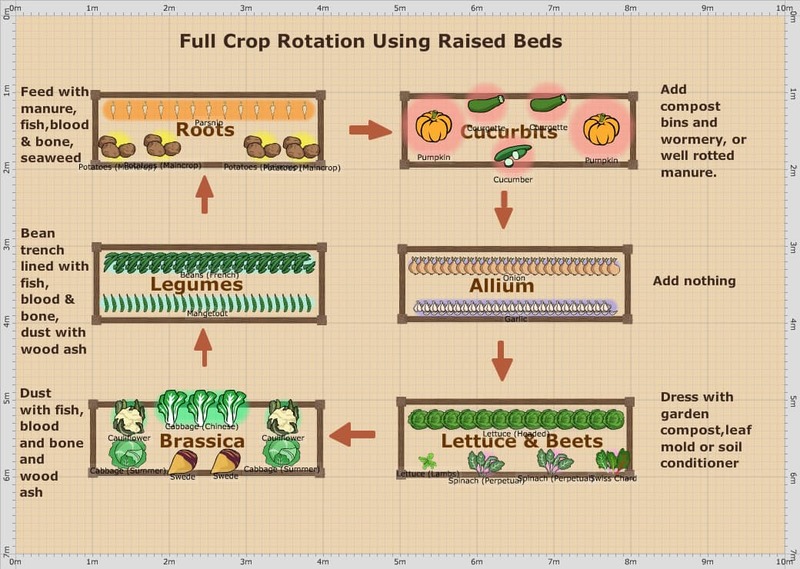 That doesn’t mean that you will have to produce a raised bed for each group. You can mix them up, leave some out, or rotate groups in one bed.